Stylish accents in modern pink color are excellent ideas for beautiful rooms in various interior design styles. 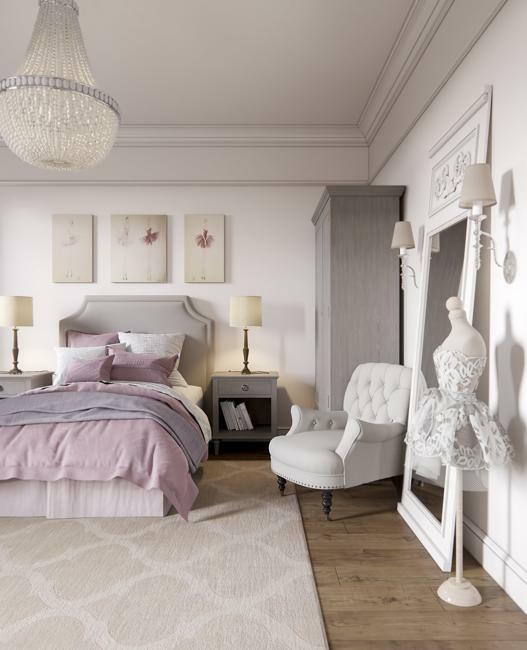 Pale pink is one of the latest trends in decorating, and designers recommend adding pale pink to all home interiors. 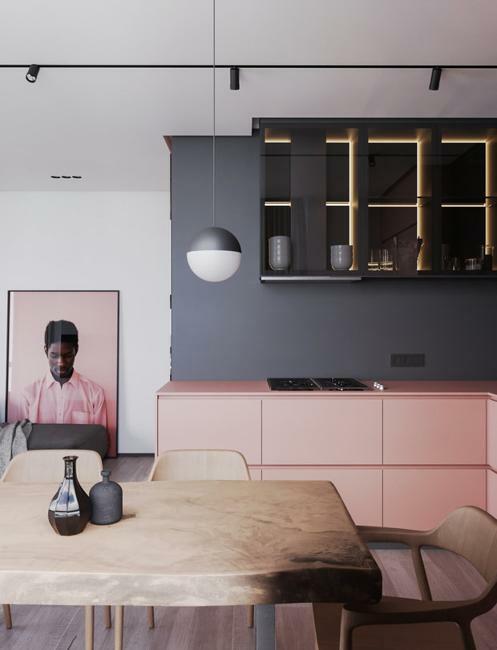 Retro modern interiors, contemporary rooms in a minimalist style, cottages and interiors in the industrial style look fresh and pleasantly soft with accents in pale pink. The Lushome collection of modern interiors shows how to use pink in decorating and follow the interior design trends while personalizing your rooms. The pink color is modern and beautiful. Light pink is classy and fashionable. Tender pink pastels can be glamorous and exciting, bringing energy into the interior design and emphasizing a feminine touch in decorating. The beautiful pink color in light tones is versatile, suitable for many interior design styles and all genders. 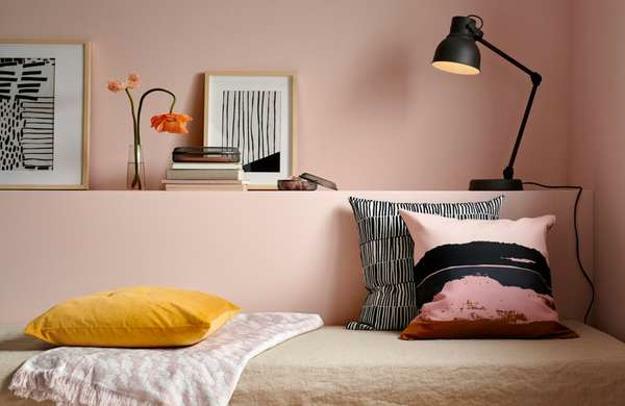 Any room decorating can benefit from the usage of light pink; all depends on the color combination. White, black, and gray color tones look elegant and fresh with light pink. Bright pink shades increase the feminine energy in the interior design, while purple and blue cool down the room colors. 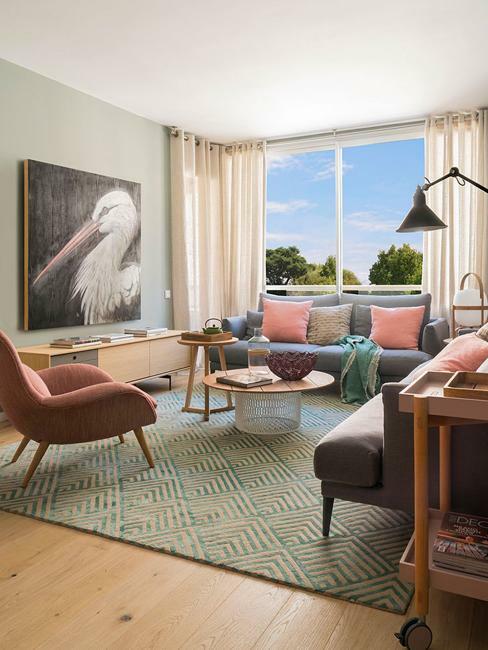 Grayish pink pastels in light tones, dusty pink color, is an excellent choice for adding soft contrasts and elegant accents to modern interior design in the industrial style. 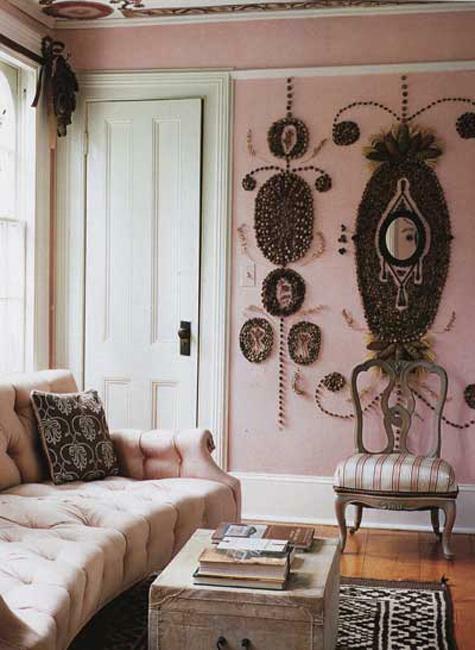 Pale pink brings a mysterious feel into the spaces. It works well with metal details and silver gray color tones. Dusty pink changes and creates a beautiful effect with various hues of gray color through the day. 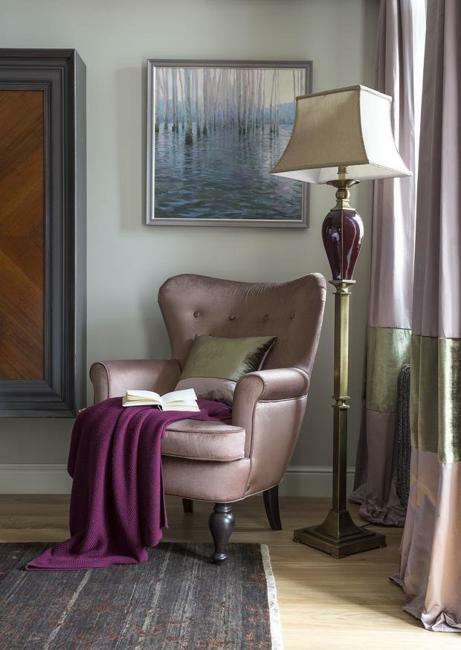 Pink pastels look bright during the day and allow deep room colors come forward at night. Dusty pink pastels are excellent for interior design in eco style. Neutral color tones, beige, gray, white, natural shades of wood, and green colors of houseplants create attractive, balanced, and stylish color combinations with light pink pastels. White and tender-pink hues look fresh and delicious. 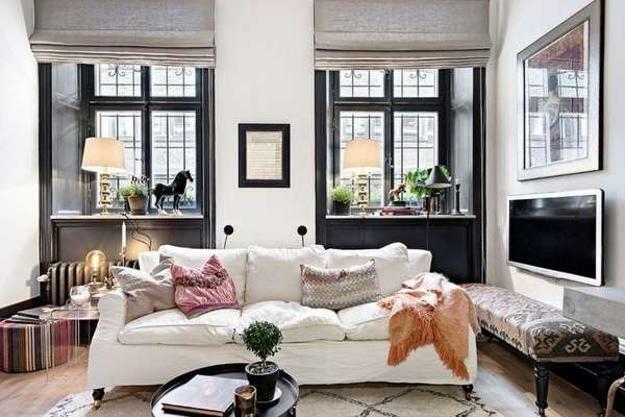 Balanced by black and charcoal gray color tones, light-pink and white decorating ideas delight and impress. 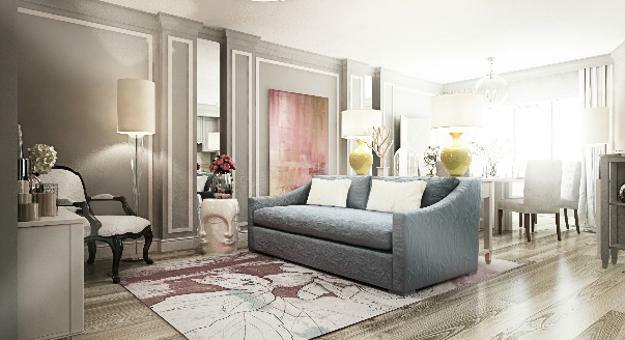 Classic interior design style benefits from pale pink pastels. Gray color, pink, and all green colors, mixed with golden decorations, create chic rooms and add elegance to the traditional interior design. 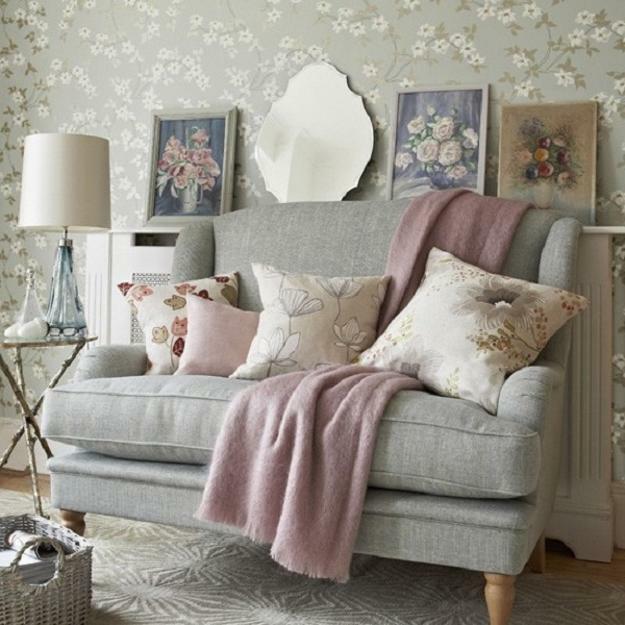 Cottage style interior decorating appear relaxing and quiet with accents in pale pink. 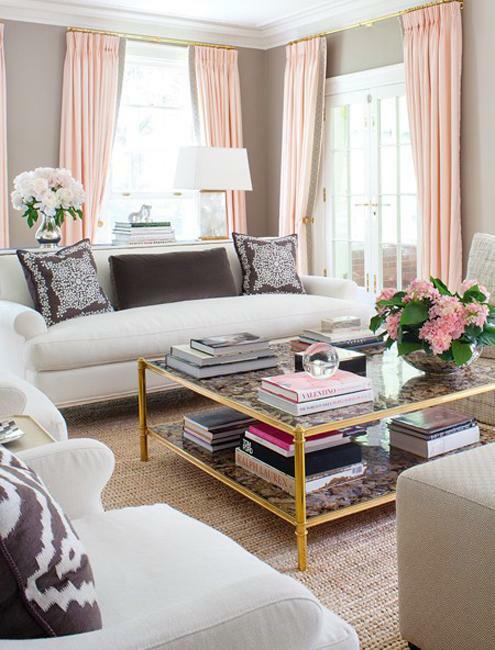 Light pink is the versatile solution for brightening up any room. The role of pale pink in the decorating schemes changes according to the other room colors. 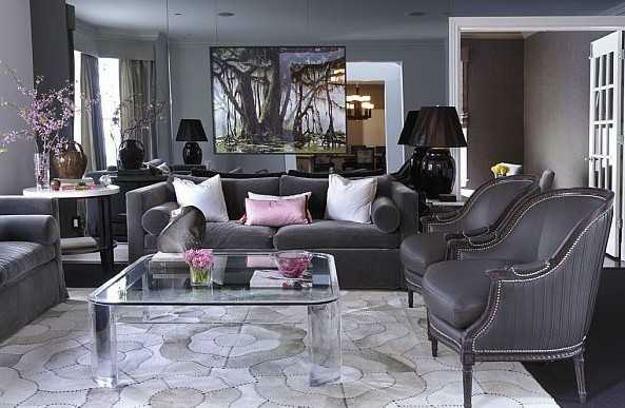 Pink can make a place feel soft and bright or give a touch of elegant luxury to the interior design.